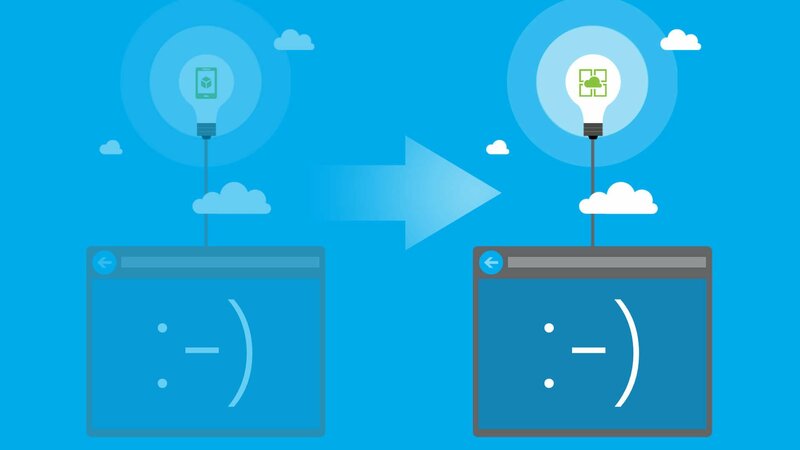 Microsoft has announced the transitioning from Azure Mobile Services to Azure App Service. While no action is required on your part, I prefer to be proactive. 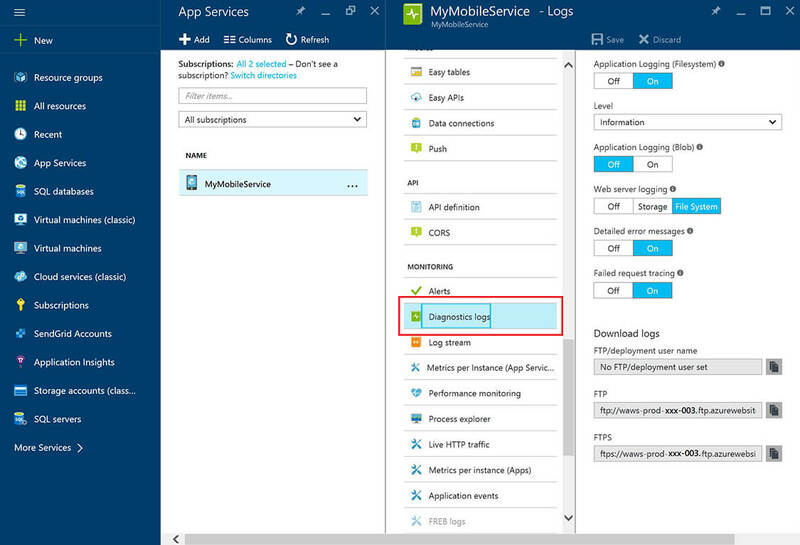 So in case you choose to migrate your Azure Mobile Service before Microsoft does it for you, here are the instructions step by step on how to do it. First, it is recommended to backup your Windows Azure data. Use my Backup Guide to do so. Login to Azure Classic Portal. Go to the “MOBILE SERVICES” tab and select your service. 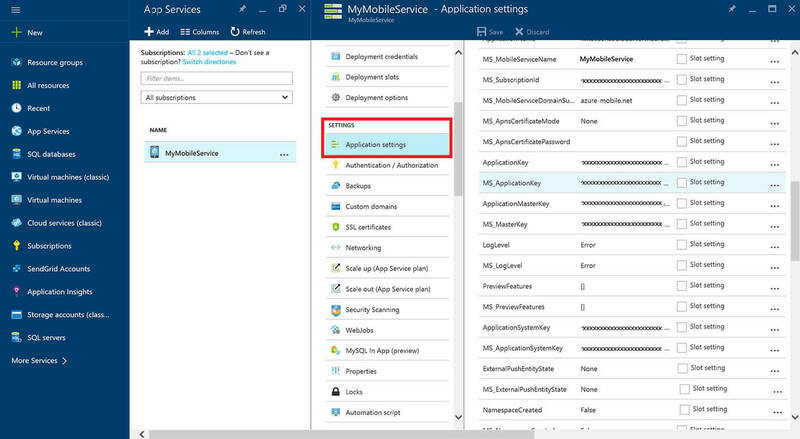 IMPORTANT NOTICE: You actually migrate all the Azure Mobile Services in the same region and not just the one you selected. Click on the “Migrate to App Service” button. Then, type your mobile service name and click the Checkmark button. A dialog will ask you to confirm your action. Confirm and continue. According to Microsoft, the migration process takes between 3 and 15 minutes. During all that time, your Service will remain available and the only downtime is at the end of the migration process, when the service restarts. I would recommend to migrate when no one is using your Service, but, if that’s not possible, try when you have the least traffic. 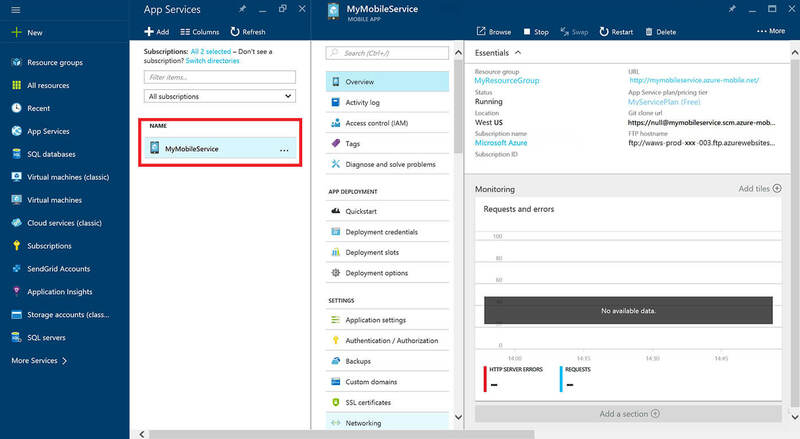 When the migration process is completed, you can no longer see your mobile service from the Azure Classic Portal “MOBILE SERVICES” tab. 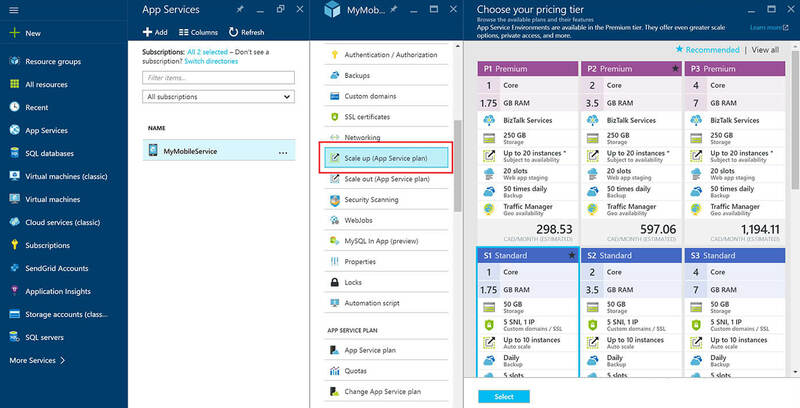 At the moment you can find it at the “WEB APPS” tab, but because Web apps will soon be available only in the new Azure Portal , the following tutorial is focused on the new portal. 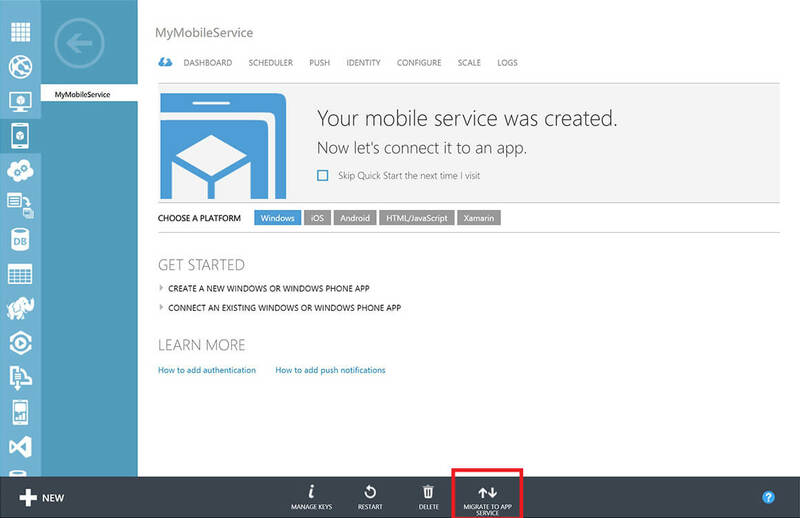 Login to the Azure Portal, go to the “App Services” tab and select your migrated service. Select the “Application Settings” blade and make sure that all your settings are migrated. Select the “Scale up” blade and select the pricing tier that best suits your needs and then click the “Select” button. If you want to continue having logs after the migration, select the “Diagnostics logs” blade. Set “Application Logging”, “Detailed error messages” and “Failed request tracing” to “On” and “Web server logging” to “File System”. Then click the “Save” button. Last but not least, don’t forget to download the new publish profile for your service, in order to be able to publish changes and new features. Go to the “Overview” blade, select the “More” button and “Get publish profile”. After that you have to import the new publish profile from Visual Studio. Now you are ready to use your new migrated App Service Mobile. In case you have any problems with your data, you can import your database backup as shown here (link to other post). Georgia is a Cloud Specialist at LightBuzz. During the past ten years, she's been developing secure backend systems for financial institutions and healthcare companies. She's passionately writing about Microsoft Azure. Did we mention that she loves Escape Rooms? Nice article Georgia. 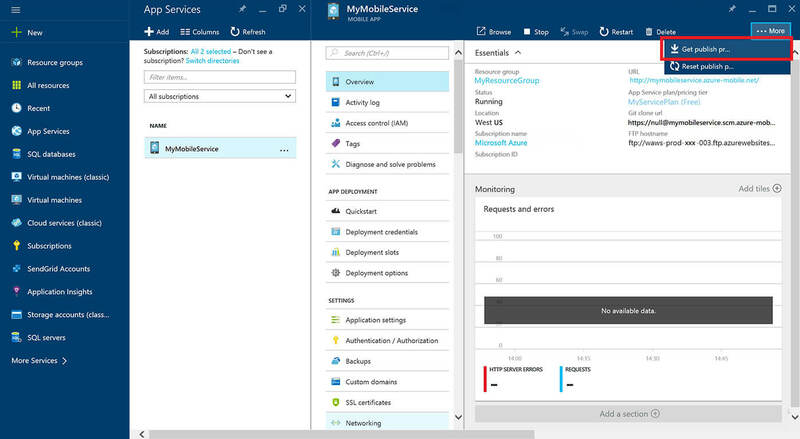 If anyone wants a document of migration to Azure app service (https://azure.microsoft.com/en-us/services/app-service/) please refer to https://docs.microsoft.com/en-us/azure/app-service-mobile/app-service-mobile-migrating-from-mobile-services.